With the arrival of 2016 comes another new year packed with exciting automotive anniversaries. 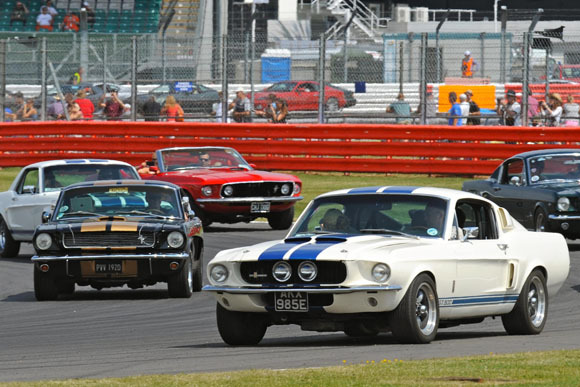 Many of these key motoring milestones will be celebrated in style at the annual Silverstone Classic from 29 to 31 July. 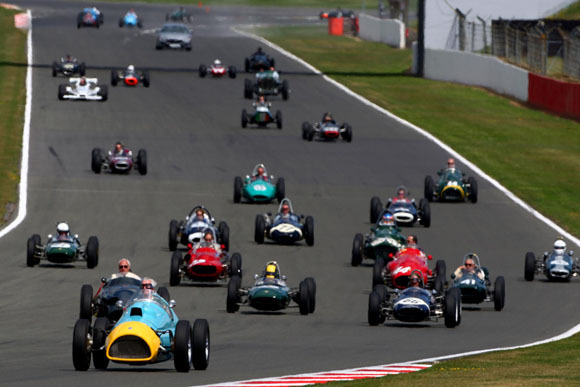 In recent years, the famous Silverstone Grand Prix circuit has staged record processions featuring E-type Jaguars, Ferrari F40s, Porsche 911s, Ford Mustangs and historic Formula One cars amongst a whole host of other cavalcades. The majority of these birthday celebrations are organised by ever-enthusiastic car clubs for their members, and many clubs are already revving up for new parties in July. The BMW Car Club GB is marking the opening of the original Bayerische Motoren Werke manufacturing company a century ago in 1916. The Lamborghini Club UK is honouring the 50th anniversary of the iconic Miura supercar as well as 100 years since the birth of company founder Feruccio Lamborghini. The Morgan Sports Car Club is paying tribute to the 4/4 model, which turns 80 in 2016 and remains the oldest model in the world that’s still in production today. Along with the exotic Miura, a trio of rather more affordable British sportscars from the sixties are also turning 50 this year – the Lotus Europa plus a pair of Triumphs: the GT6 and 2-litre Vitesse. Parades for all three of these golden oldies are among those already confirmed. The Nissan Figaro Owners Club is also busy organising a big Silverstone Classic party for 25 years of the Micra-based Japanese retro car, the Viper Club of the UK will be popping the corks on its 20th birthday while the Westfield Sports Car Club will be out in force for its 30th anniversary. 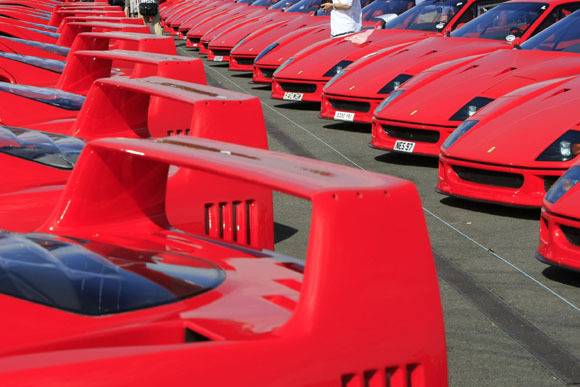 Whether celebrating or not, unprecedented numbers of motoring clubs now choose to stage their main annual gathering at the world’s biggest classic motor racing festival. 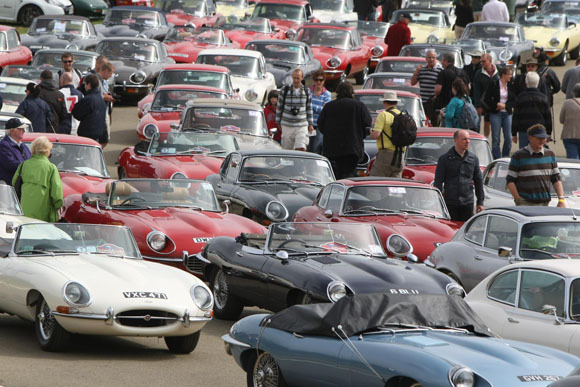 A record assemblage of more than 120 clubs attended in 2015, between them displaying more than 10,000 privately-owned cars over the enormous three-day extravaganza.